The lawsuit challenges the adequacy of the environmental review and the city’s lack of public purpose in taking the property through eminent domain. Michael Gerrard of Arnold and Porter, the lead attorney for the plaintiffs, is one of the best lawyers in New York State and probably the number one lawyer in the state when it comes to environmental law. As can then be expected, the papers are extraordinarily strong and well drafted when it comes to stating the suit’s two-pronged attack challenging to the environmental review. Notwithstanding, we find ourselves more immediately fascinated by the public purpose challenge to the use of eminent domain. 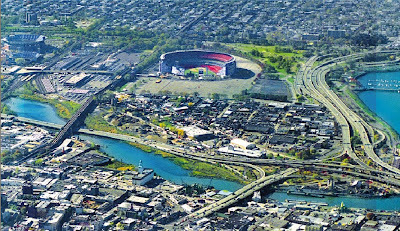 The post goes on to compare Willets Point to Atlantic Yards, a similar case where eminent domain is being employed to enrich the developer chosen to build that megaproject - one who happens to be failing at finishing the job.